A while ago, we moved out repositories from GitHub to BitBucket, because we find BitBucket awesome and GitHub not so much.Lately we also moved most of our OSS projects from our GitLab to BitBucket. MailgunEndpoint - plugin which changes OctoberCMS backend to incoming mailgun e-mail webmail. You will also find there some of our non-october projects, like fork of FusionPBX and more! 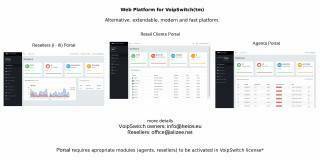 And as a teaser of sorts... Our VoipPlatform webmodules for VoipSwitch ReleaseCandidate is going out this week!